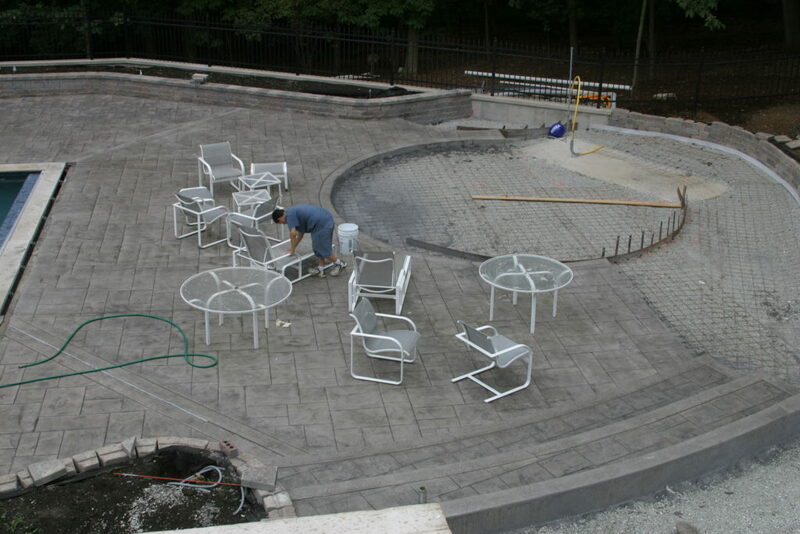 Stanley Company was contracted to design a custom swimming pool deck as shown in the pictures. This was a large project with custom built-in landscaping areas, custom walls, steps, ambient lighting, and eating areas. Stanley Company does not install swimming pools or jacuzzis; however, we can do custom pool decks, patios and walls as done in this project. As can be seen below, custom built walls provide seating areas, and a beautiful set of stairs to the pool area were added. 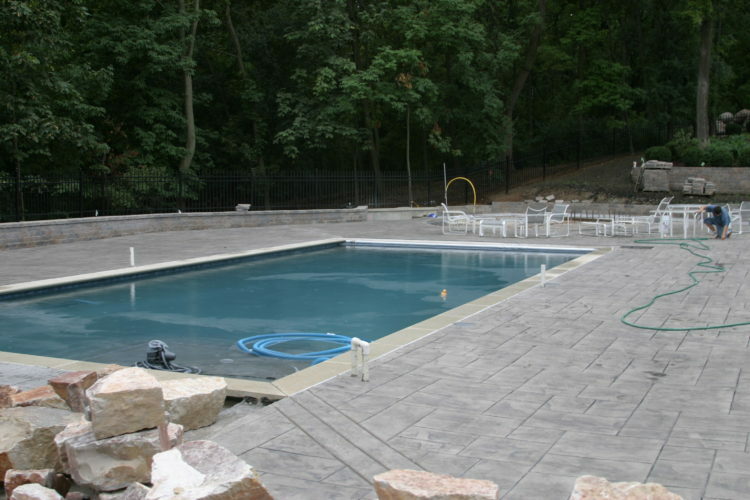 If you have questions or are thinking of building a pool deck of your own, please reach out to Stanley Company! If you want to make your pool look a thousand times better, swimming pool decks can do the trick. It can be concrete or wood decking or vinyl even; installing a swimming pool deck can protect your back yard from turning into a mud bog and protect your guests from slipping in wet grass. It also transforms your yard into something quite extraordinary. Depending on the type of pool you have, whether it’s in ground or above ground, your deck can be simple to very extravagant, small or extend from your backdoor to half way around your yard. It’s up to you and your budget. The installation of a pool deck around the pool can transform the area around the pool into the perfect summer hangout spot. A custom pool deck is different from that of standard decks. It basically needs different requirements and considerations. But the fact behind a custom pool decking is that it not only makes the pool side aesthetically pleasing but also adds some value to the home. Hence, it is good to take care of the consistent maintenance needs of the pool decking in order to increase the value of the pool renovation over the time. I’ve been looking into getting a pool deck. I’m glad you talked about how you can get a custom made pool deck. I’m going to have to talk to some pool deck contractors and see what we can find! Reach out to learn more about our services and get a free consultation from Stanley Company. 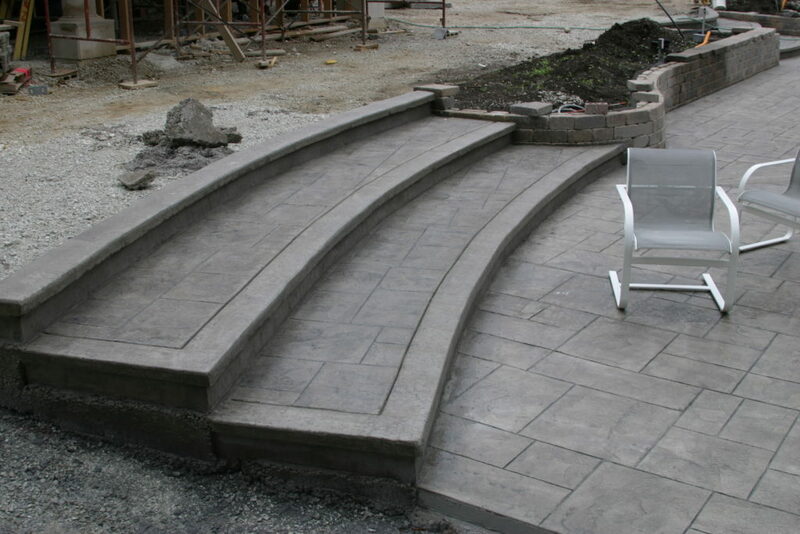 With over 20 years of experience in the decorative concrete industry, Stanley Company is the premiere concrete locally owned business in Batavia, IL and the greater Chicagoland area.